All six SugarCreek facilities are SQF Level 3 Certified. SQF Level 3 is the highest level of certification, and is recognized as a Global Food Safety Initiative (GFSI) benchmark, meeting international food safety requirements. GFSI is the result of collaboration between some of the world’s leading food safety experts from retailers, manufacturers and foodservice companies. In order to achieve this level of excellence, suppliers must demonstrate a comprehensive implementation of safety and quality management systems that includes rigorous training and audit processes covering GMP’s, Document Control and Records, Food Safety Fundamentals and Plans, Verification and Validation, Product Identification and Traceability, Site Security, Allergen Management and Training, Supplier Audit and Approval, Customer Complaint Documentation, Production Control, Sanitation, Material Management, and Shipping and Receiving. Hazard Analysis and Critical Control Points (HACCP) is a preventative food safety system in which every step in the manufacturing, storage and distribution of a food product is scientifically analyzed for microbiological, physical and chemical hazards. SugarCreek has validated HACCP plans for each product produced in our facilities. As fast food loses market share to fast casual, brands must find a way to capitalize on consumer trends to stay relevant. 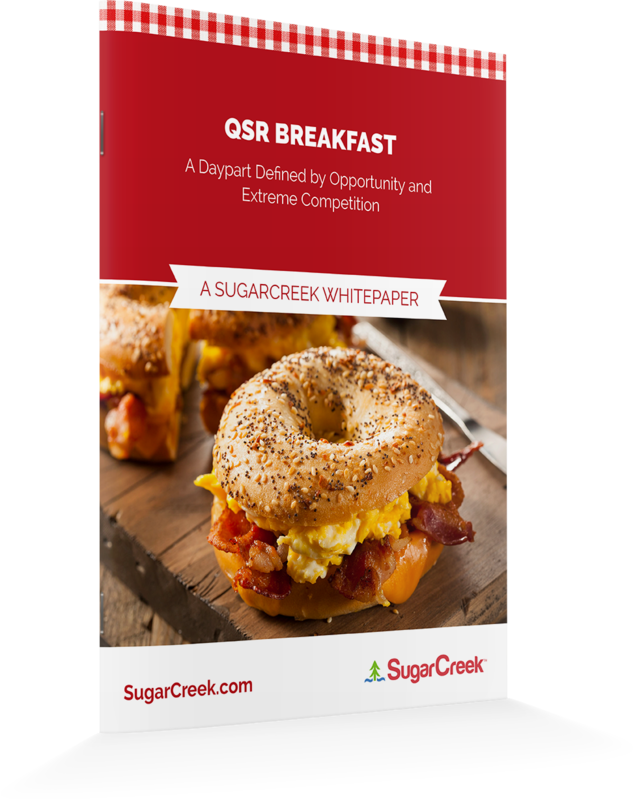 Breakfast is potentially the most lucrative daypart for QSR companies. It’s also one of the most competitive areas in the market today. Fast food brands must find a way to distinguish themselves from others in the industry to have a chance of finding success in this daypart.